When learning about different control strategies it often helps to see the strategy in action. I therefore made a Processing sketch for my students to play around with that illustrates proportional control applied to a motor. Click me! I’ll take you where you want to go! 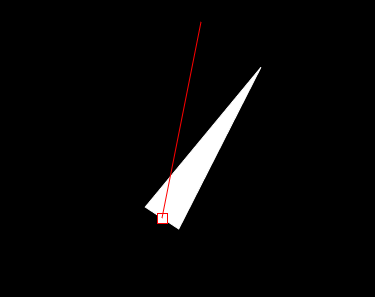 The system will then use proportional control to get the motor’s angle to match the set point’s angle. You can also press the top left button to turn the simulated friction on and off. Note how proportional control cannot overcome that friction by itself and remember how integral control is used to solve the problem by generating an output that increases in magnitude based on the length of time that the error exists!